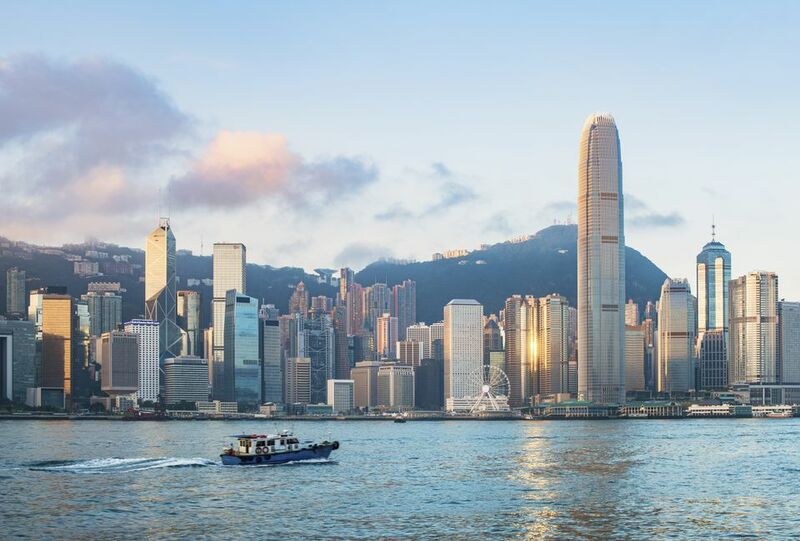 Today Hong Kong Harbour, or Victoria Harbour as it is properly known, is all but retired as a maritime motorway but it does remain one of Hong Kong’s major tourist attractions. Squeezed between the mountains of Kowloon and the soaring skyscrapers of Hong Kong Island, its shimmering waters are banked by the neon skyscrapers of Hong Kong harbor. This is the iconic image of Hong Kong. Below are our five picks of the five locations to get the best angle on the harbor. Make it even more special by turning up for the Symphony of Lights. This grand light and laser spectacular gives the harbor a special shine at night. What better way to enjoy the water of Hong Kong Harbour than floating on it. The Star Ferry is a Hong Kong icon and has been plying the route between Tsim Sha Tsui and Central for over 100 years. Rides across the harbor take around 10 minutes, during which time you can watch the water and the skyline unfold before you. Unbeatable. The Avenue of Stars offers outstanding and unobstructed views over Hong Kong Island’s swathe of Hong Kong Harbour and the skyscrapers beyond. You can stroll along this seafront promenade from the Star Ferry Pier to the Intercontinental Hotel and enjoy premium Kodak moments along the way. Most of the jaw-dropping photos you see of Hong Kong Harbour and the skyline splashed across coffee table books were taken here. Highly recommended for those who want to see the shiny crowns of Hong Kong’s skyscraper city, the Peak also affords excellent views over the Harbour. Walk around the path that circles the Peak to see the whole of Hong Kong and the South China Sea spread out before you. This is also the best spot for night views of Hong Kong. You'll find thousands of twinkling skyscrapers laid out at your feet. If all of the above sounds a little too active, try a cocktail at the Intercontinental’s Lobby Lounge. Here you'll have the view laid out for you in widescreen. Perched on an upper floor of the hotel, the panorama from the Lobby Lounge is nothing short of spectacular. The commanding location means cocktails can be expensive...so sip slowly. If you fancy a room with a view, Hong Kong's hotels are only too happy to help out and several properties can be found on ​the water's edge.